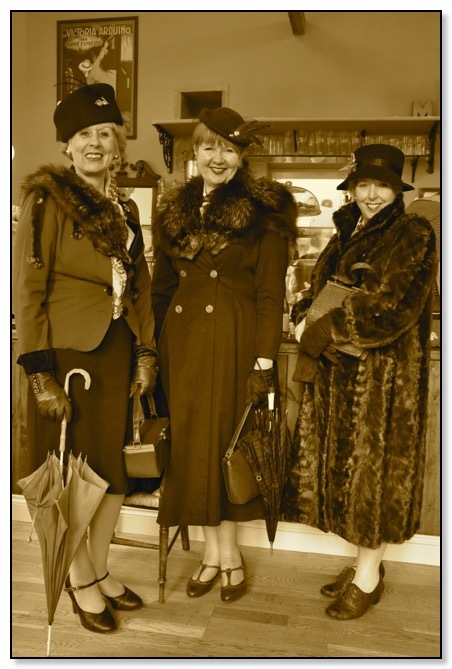 It is the Railway in Wartime weekend again. 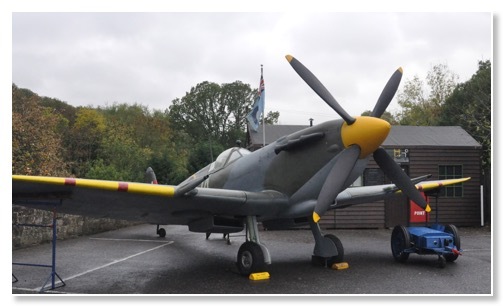 A Spitfire shows up in the station car park and all the usual transformations take place on the station itself: destination signs covered over, dig for victory posters, tape on windows and all the paraphernalia associated with the Second World War. The weather is pretty dismal across the weekend so people appreciate our log burning stove and Bill has to make lots of soup to cope with the demand. 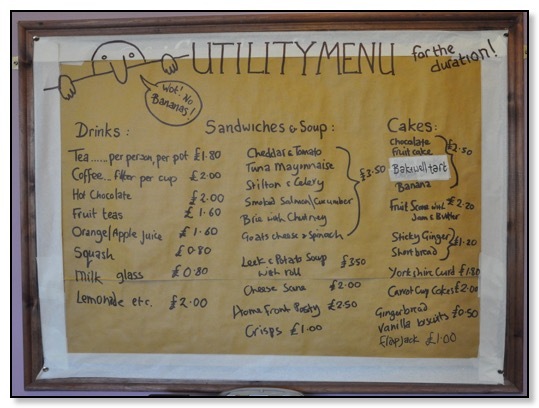 Most people are happy with our ‘utility menu’ designed to help us manage the high numbers of people wanting to be served quickly. We know that some of the things we keep on the menu would have been unobtainable during the war; some of them would have been almost unheard of in England in the 1940s anyway, but people generally get the idea. One or two people are pretty disappointed when they are told the can’t have a cappuccino because ‘there’s a war on’ though. We feel we are winding down now towards our winter closedown. The weather has shifted and on weekdays there are many fewer people venturing up the path to see us. Things can change quickly though; on several occasions we’ve had to jump up quickly from our cosy seats by the log burner when large groups have arrived all wanting cake and drinks at the same time.